PG&E’s decision to shut down Diablo Canyon by 2025 has by no means quelled the controversy surrounding the nuclear power plant. Now, a Santa Barbara-based nonprofit organization is suing the California State Lands Commission over its decision to extend the plant’s lease without an environmental review. The World Business Academy filed the lawsuit Aug. 2 in Los Angeles County Superior Court. The lawsuit claims that the commission didn’t have the authority to exempt the extension of Diablo Canyon’s lease for seawater intake and water discharge channels from environmental review under the California Environmental Quality Act. The commission voted unanimously to do just that at a June 28 meeting. COURT DATE: A Santa Barbara nonprofit is suing the State Lands Commission over its recent decision on Diablo Canyon’s tidelands leases. The lease extension was a key step in PG&E’s plan to shutter the plant by 2025 and replace its output with greenhouse gas-free energy sources. At the hearing, Lands Commission staff said they believed the lease extension was exempt from the environmental review process because the lease covers existing facilities, which are general exempted from such review. But the lawsuit argues that California law calls for an environmental review if unusual circumstances that would have a significant impact on the environment were present and that concerns over seismic safety, the presence of radioactive waste on site, impacts on nearby marine life, and other issues at Diablo Canyon fall into that category. “The commission refused to ask the tough questions about the safety and environmental impacts of Diablo Canyon because they feared that a full EIR process would alert the public to Diablo Canyon’s actual environmental and health impacts, thereby possibly forcing PG&E to shut down the plant immediately,” Brutoco said. The lawsuit asks the court to compel the commission to set aside its decision, terminate the leases, and contract an environmental review. The Academy isn’t the only group to hold that opinion on the issue. 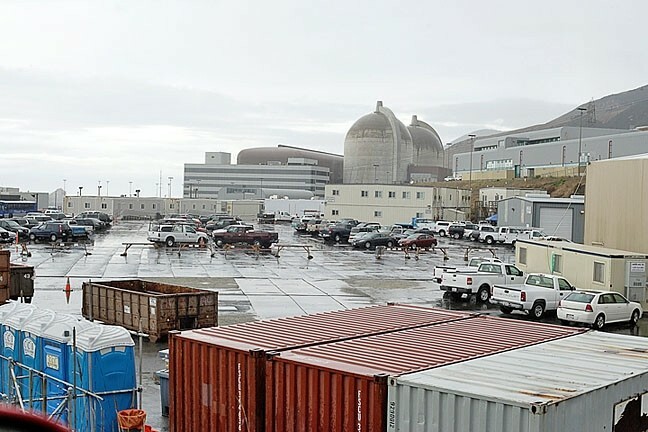 The Alliance for Nuclear Responsibility, one of the groups that signed off on PG&E’s joint proposal to close the plant, also advocated for an environmental review prior to extending Diablo Canyon’s leases. For its part, PG&E appeared to side with commission staff. At the June hearing, PG&E President Geisha Williams indicated that an environmental review could add months or even years to the process and negatively impact the proposed timeline for Diablo’s closure. As of Aug. 3, the California State Lands Commission had not filed a response to the lawsuit in court.